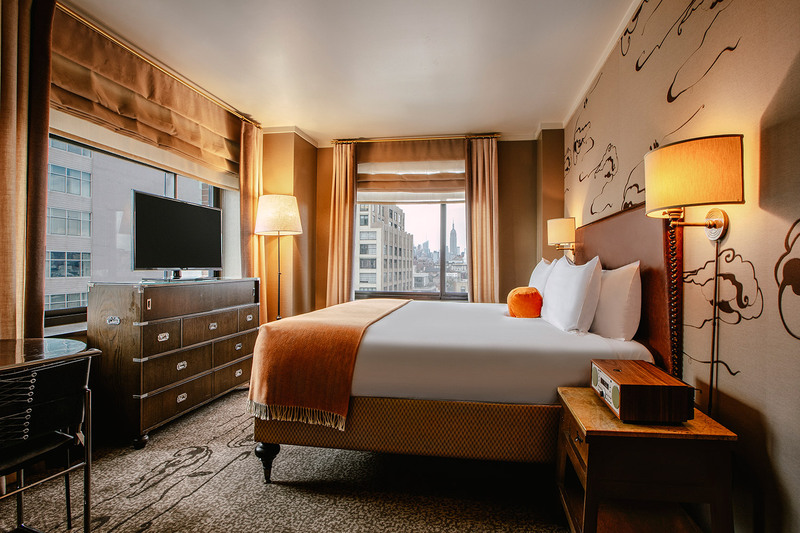 The signature 285 square foot Deluxe Corner Room, located on floors 4-15, features a deluxe bathroom, custom king or queen bedding on an Englander mattress, beautiful views from dual or single exposure windows. Custom fixtures and furnishings feature a neutral palette and whimsical cloud wallpaper adorns the back wall. Windows on the two corner sides offer more than stunning views out, they’re reminders that SoHo completely envelops you. 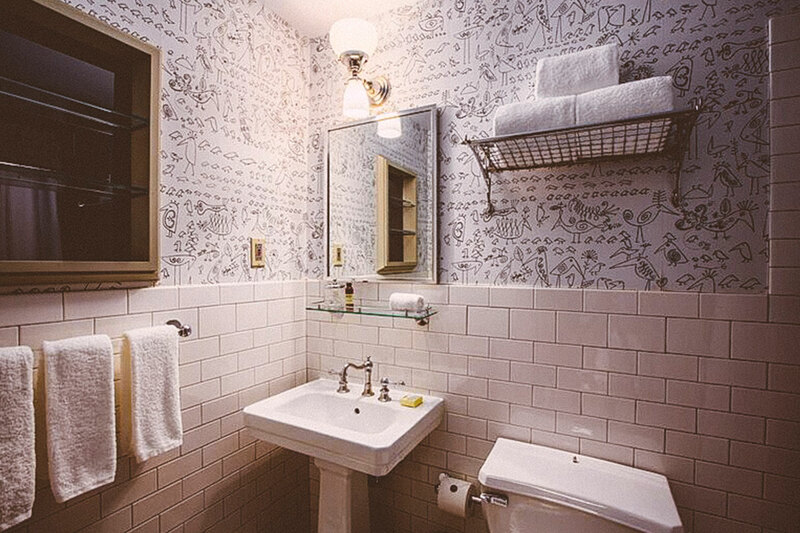 The bathroom features white subway tile, a tub and New Yorker cartoonist Saul Steinberg-designed aviary wallpaper. ADA accessible rooms available upon request.